Mr Turtle is your first film? I’ve produced some school assignments before, I have a 1 minute short film called Dante’s Dream up in Vimeo. But this is the first short documentary I’ve made and the longest film I’ve made so far. The film is about a man named Daniel that has devoted his life to save turtles in a beach in Veracruz, Mexico. This beach sometimes gets very polluted by oil from gas companies and many turtles die from this. In the film, Daniel wonders about the life of turtles after they are released to the ocean, if they survive, how long they survive, and will they be save from extinction one day. It your first Jaipur visit? Yes, I’ve always wanted to visit India but never got the chance. When I found out my film was in JIFF I decided I had to come, since this is the first film festival I have a screening on. Your opinion about Indian Cinema? Indian Cinema really stands out from other country’s films. When you see an Indian movie you instantly know where it comes from, and I love that about it. It is very unique and true to its roots. Which type Cinema making Mexican filmmakers? Mexican Cinema gets its influence from the social and political problems we face every day in Mexico. Nevertheless, art films exist in abundance in Mexico and those are the ones I love the most. I think filmmakers in Mexico really have an urge to tell their stories and you can tell when you’re watching their films. Your experience of Jaipur Visit? Jaipur has been nothing but very welcoming and warm. I am truly and eternally grateful that I got to experience the culture of this beautiful city and that I got to see the beautiful architecture and art that lives here. I really hope I can come back here some time because this has become one of my favorite places. 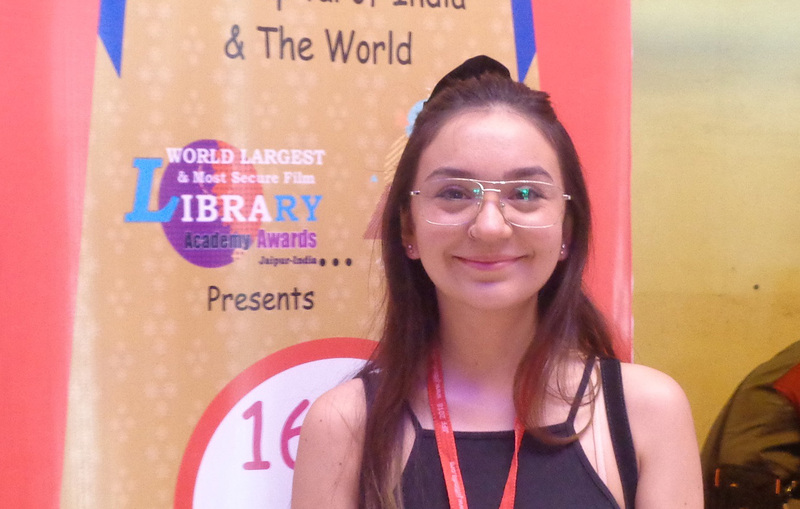 Are you facing any issue in your country as young women filmmaker? I feel that lately, Mexican filmmakers that are man are more and more conscious of the problems that women face in Mexico. So I haven’t really faced problems in my work but I know some women have and that women still have to fight for their rights and equality in Mexico every day.